Discussion in 'Tuning, Styling and Performance.' started by Liam.Moran, Mar 31, 2019. Not sure if this is the right place to post this here. Anyone have any recommendations on what to do? luckily it's a non DPF model, and I am considering a hybrid turbo, the car is currently mapped and the map will be adjusted to match the new hardware. I've considered removing the rear silencers or changing for smaller ones, gutting the secondary cat, an X pipe in the middle? 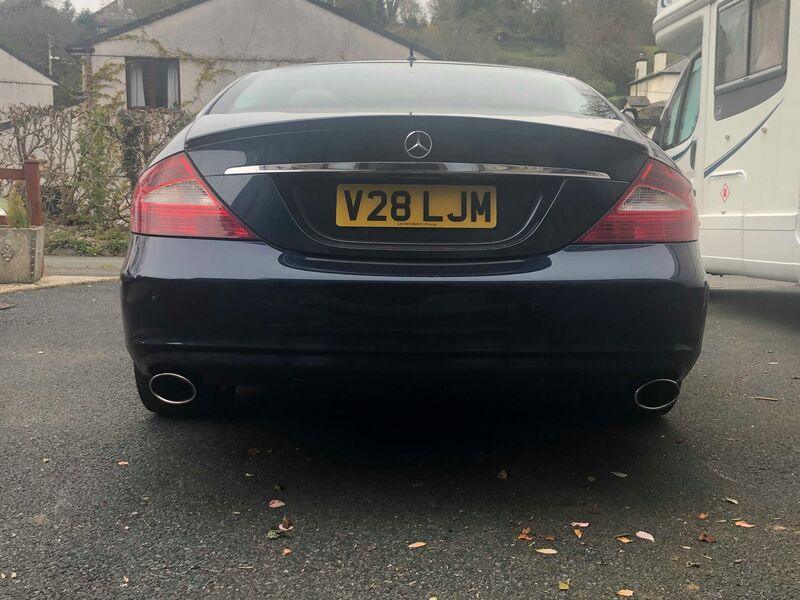 not looking at making the car stupidly loud, still a nice comfy Mercedes after all but it's just a little too quite for my liking when floored. It’s a fairly lazy diesel. What sound do you want it to make? 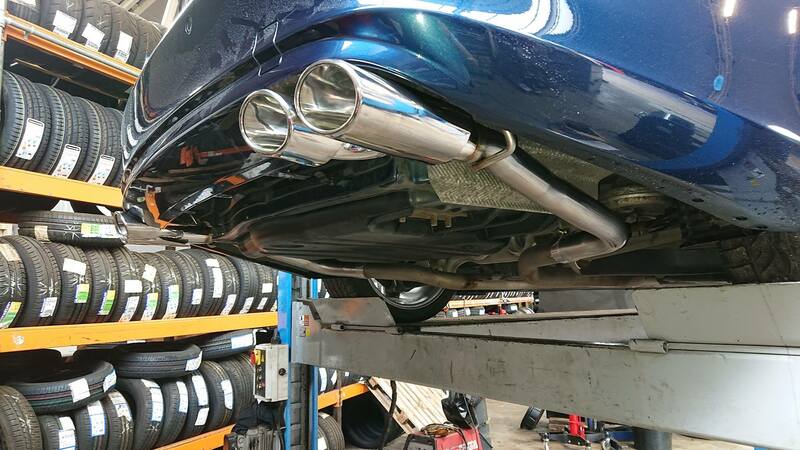 I don't know where you are located, but Torqueflow in Birmingham and EMP in St Albans and Powerflow can do the decat etc and fabricate a quad tailpipe set up. 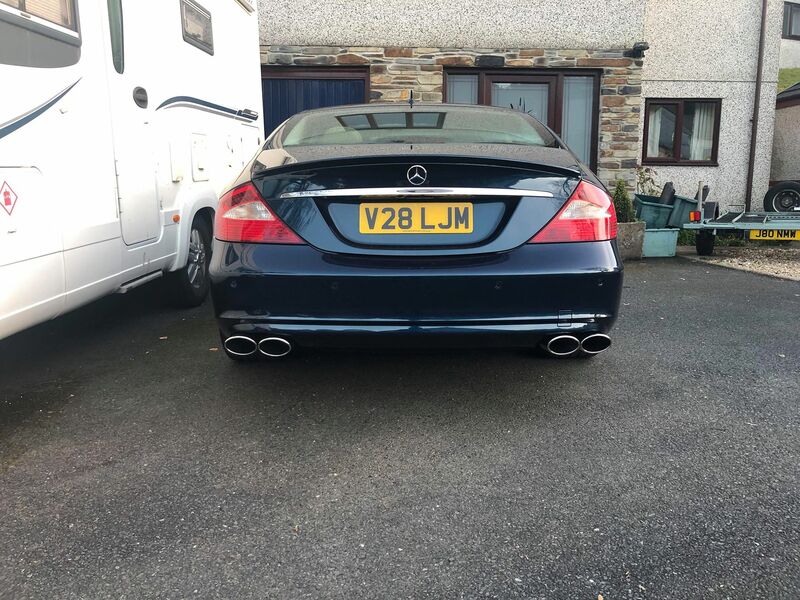 Be aware you will probably have to have the rear valance dremelled out to fit the new tailpipes. Wighty and Liam.Moran like this. An X pipe will do nothing on a V6. The reason they work on a V8 is because of the double pulse on each bank (typical V8 firing sequences go LRLLRLRRL where L is left bank and R is right bank). The double pulse is what gives the V8 it's burble and throb. A V6 alternates LRLRLR so no double pulse to make use of. Also having a turbo further negates the point as the turbo acts as a restrictor in the exhaust effectively masking the firing pulses. Just to add having looked at the photo again you have a single turbo so all your gases mix in the turbo. Even if it was a V8 that configuration makes an X pipe pointless. X-pipes really only work on normally aspirated or supercharged engines. 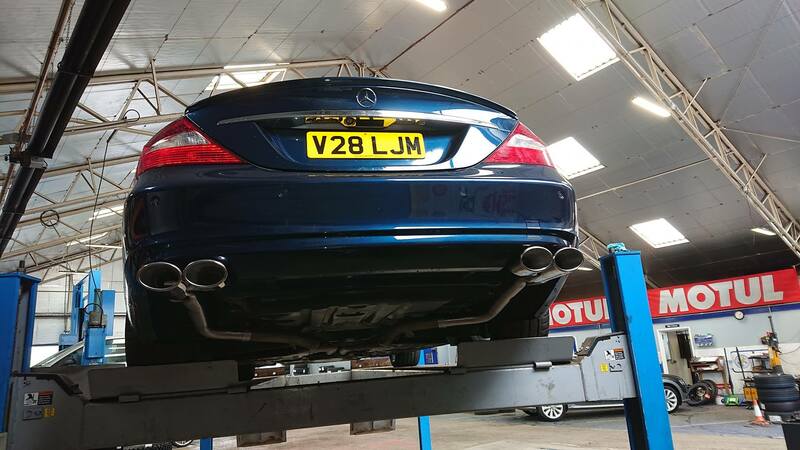 Start with back box removal , straight pipe and the tail pipe trims . It was a lot less complicated in the 70's all you needed then was Go-Faster-Stripes and a hole in the rear silencer. Backbox removal is really your only option as there are no other components in the system. 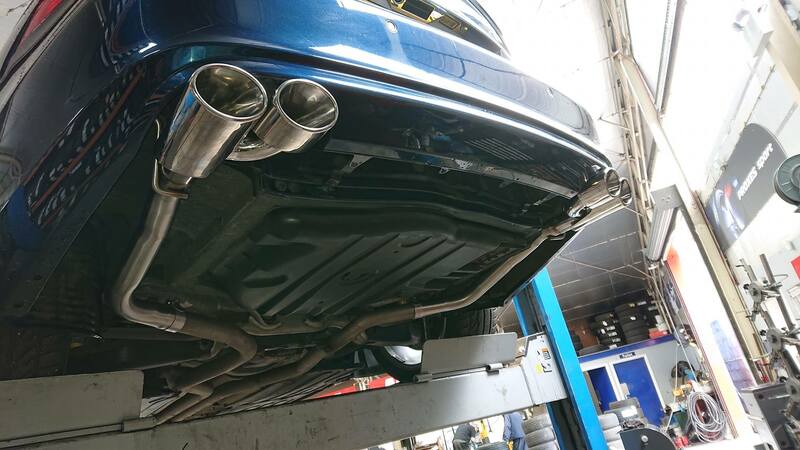 You can do de-cat for more sound and better turbo response but it is illegal etc. If you remove the backbox you will have horrendous drone, so maybe fit a resonator in line before the tips, it will knock lots of the drone out of it. 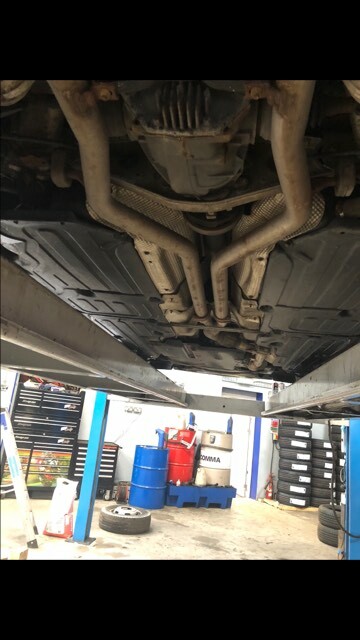 I have had Tavistock Powerflow perform a back box delete, we decided to try removing the back box before trying a smaller box/resonator. Perfect with just the back box delete, no drone at any speed, a little louder at idle nicer sounding under hard acceleration, lower sound yet normal driving around town no louder, not "boy racer" in anyway and look stunning, I'm really happy with it. Great result. The workmanship looks good as well. nice job pal !!! looks good for a lazy diesel. Nice work. Pleased its worked out how you like it. I’m probably a lone voice but I don’t like them I think they’re too wide and therefore too close to the corners. So close I could see parking issues on low kerbs. I think the Mercedes quad pipes sit closer into the centre so don’t have the same issue. Ok, so it’s just the bumper that’s different on the quad tipped AMG?